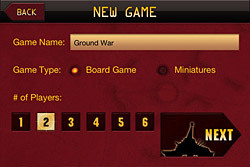 For iOS and Android™ devices. 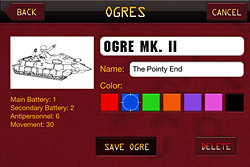 This is a free helper app for Ogre. 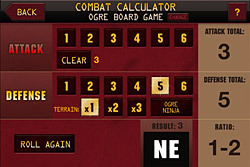 This is not a standalone game! 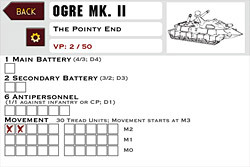 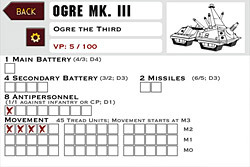 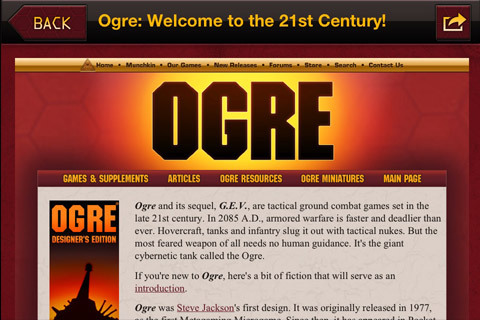 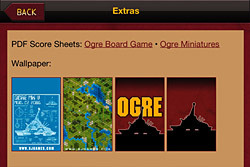 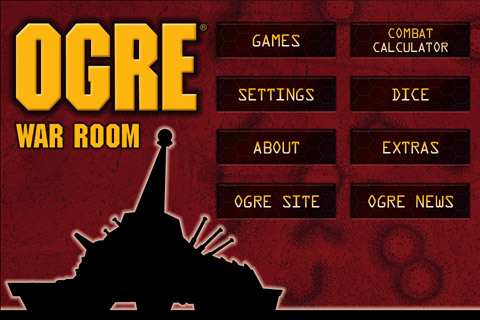 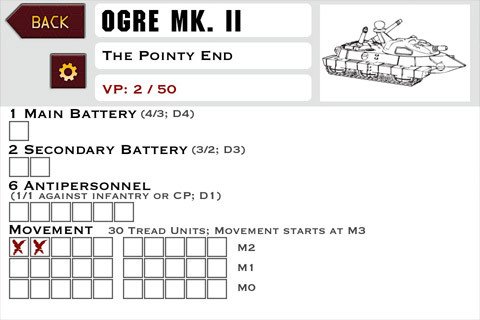 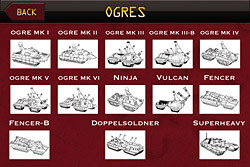 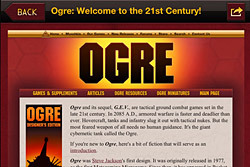 You will need a copy of the Ogre board game (or Ogre Miniatures) to play. 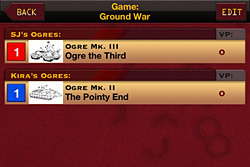 Use the app to score a game for up to six players and any number of Ogres. 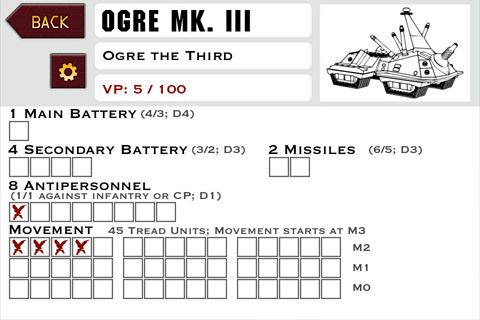 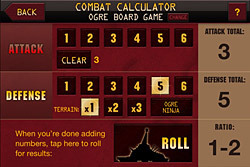 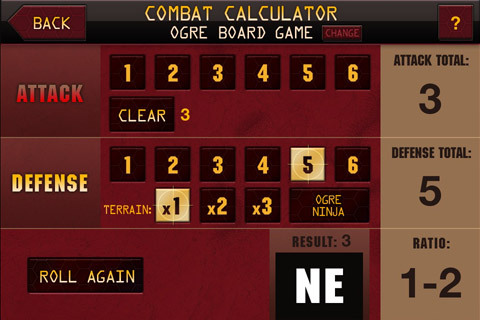 The Combat Calculator lets you enter values for attackers, defender, and terrain, and roll for the result on the Ogre combat results table. Note: Version 1 is optimized for the iPhone. We do plan to make an iPad-friendly version after we've gotten some feedback on this version. Our thanks to the 5,512 backers who supported the Ogre Designer's Edition on Kickstarter and made this app possible!